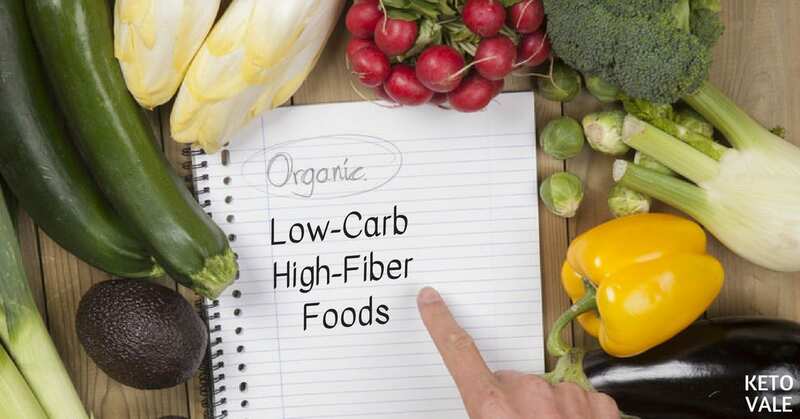 Are you eating enough fiber from your low carb and ketogenic diet? Some people are afraid that they won’t get enough fiber on keto because keto diet restricts a lot of sweet fruits and starchy vegetables. The truth is you can get more than enough fiber on keto if you know how and where to get them. In this article, we will show you a list of best low carb foods that also have high amount of fiber. Dietary fiber is a type of carb that we don’t digest, and which passes through our intestines. In addition to that, some types of fiber feed the beneficial bacteria in our gut, which makes them prebiotics (not to be confused with probiotics, which is the bacteria itself) (1). Because of the fact that we don’t actually digest most fiber, it helps us with digestion and gut health; soluble fiber (the type of fiber that dissolves in water to form a gel-like substance) is especially beneficial for preventing constipation. Fiber will help you feel fuller for longer periods of time and will also keep blood sugar levels in check; keto is already very beneficial for both of these things, so making sure your fiber intake stays adequate can help even further. Additionally, fiber can lower blood pressure and LDL (the “bad”) cholesterol levels, thus helping keep cardiovascular disease at bay (2). When you start doing keto, however, you’ll notice that many fiber sources are now off-limits, such as legumes, oats, and fruits. So how do you keep your fiber intake stable while doing keto? There are a few things to consider when discussing fiber, though. First of all, not everyone seems to need the same amount of fiber to be in peace with their intestines – some people can experience bloating and gas if they consume more fiber than what they’re used to, and if you’re not struggling with constipation, you might not really need to consume more fiber. Additionally, once you start doing keto, you might notice that you’re going to the toilet less often. 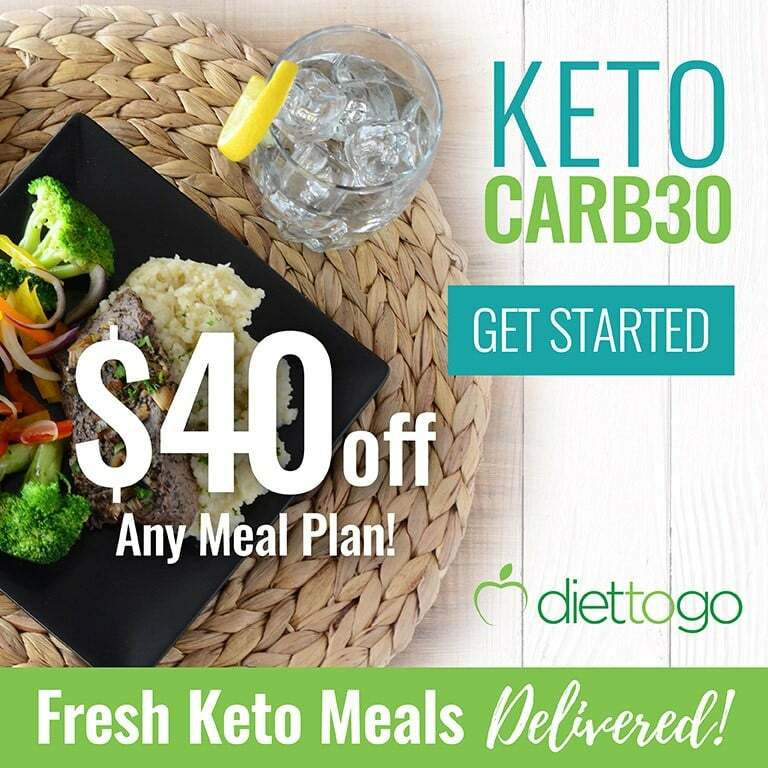 If this is not accompanied with constipation and discomfort, it might not really be a problem – the keto diet is a low-waste type of diet, and changing what you eat will inevitably have an impact on your bowel movements. This isn’t a bad thing and your body will soon adapt to it. Whenever you’re increasing your fiber consumption, you also need to make sure you’re drinking enough water, as otherwise, you might end up dehydrated. And lastly, you should avoid high-fiber bars and the like. 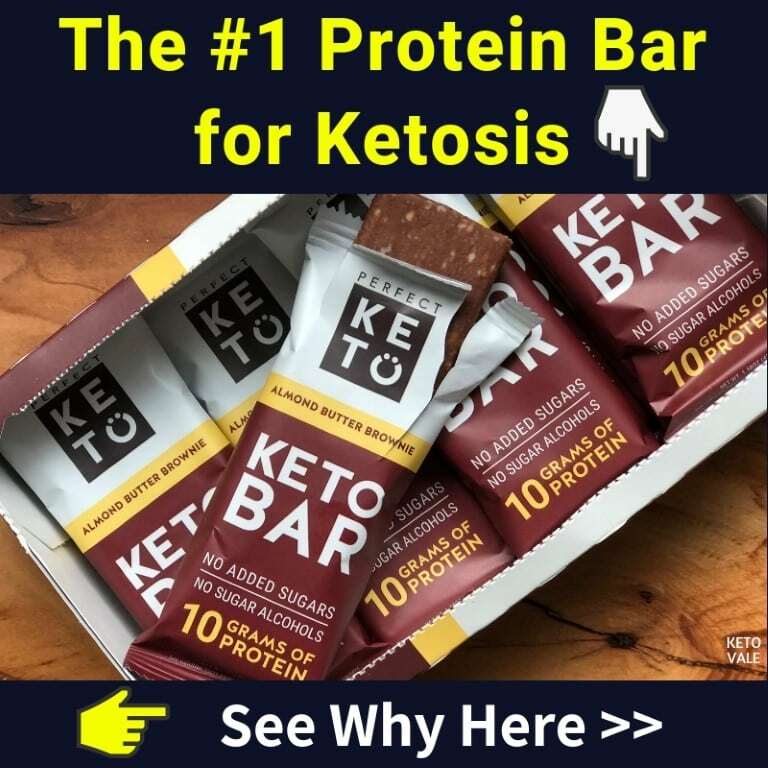 Most of them will not be keto-friendly anyway, and your best bet when improving your diet (and therefore, health) is to stick to whole foods – they will help you stay full for longer and will provide you with important micronutrients. So, what are the best keto-friendly sources of fiber that you can add into your keto plan? Below you can find some of the best sources of fiber that are also low-carb. Flax seeds are an amazing addition to your diet, and a great source of fiber, while being very low in net carbs – one tablespoon (7 g / 0.24 oz) of ground flax seeds contains 37 calories, 1.9 g of fiber and only 0.1 g net carbs. Pretty neat, huh? Flax seeds help you stay fuller for longer, and help lower blood pressure, in addition to improving your cholesterol profile (3). 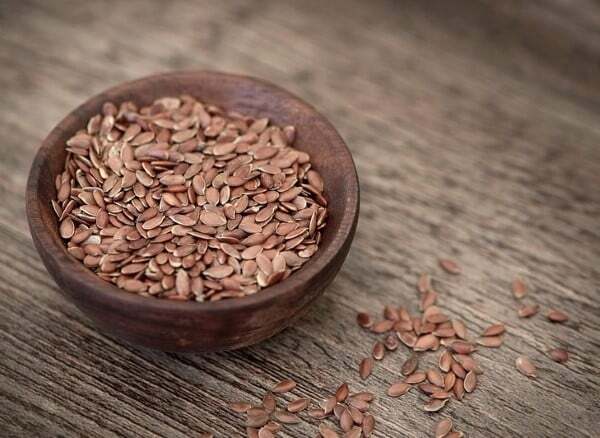 When buying flax seeds, remember to look for ground seeds, as the whole ones are very difficult to absorb. You can add flax seeds to salads, soups, or keto bread & desserts. If you add just a little (say, a ½ tablespoon per serving of soup) it will pass almost unnoticed, but it can also be used to add thickness and flavor. We’ve previously covered flax seeds in detail, so make sure to read our article here! Chia is an excellent source of fiber – a single serving of 1 oz (28 g) will give you 10 g of fiber and only 2 g net carbs. Additionally, it is a rather good source of protein and fat, containing 4.4 g protein, and 8.6 g fat. Chia seeds are also renowned for their high calcium content (a single serving already gives you around 1/5 of your daily dose), which might be especially beneficial for those of you who don’t consume dairy. Ah, coconut! One of our all-time favorites. You can eat it raw, or use coconut flour to make keto desserts, or use its oil or milk for cooking. Raw coconut is a good source of MCTs, manganese, copper, selenium, and potassium. 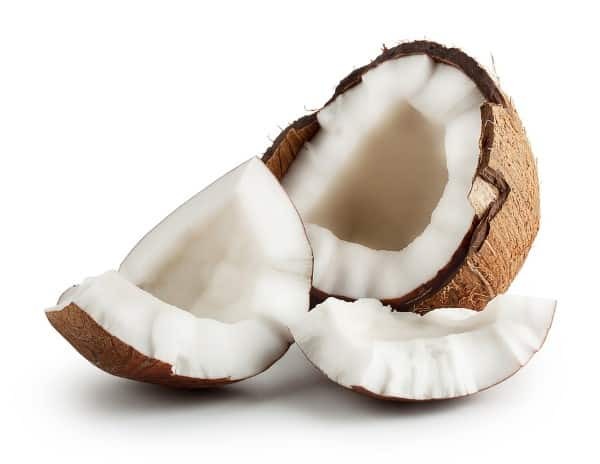 Additionally, some of the types of fat that coconut contains, such as the capric, lauric and caprylic fatty acids, are thought to be beneficial for your immune system, helping it fight pathogens. These healthy fats are extracted from coconut to make MCT Oil. Half a cup of shredded raw coconut (approx. 40 g / 1.4 oz) contains 142 calories, 3.6 g fiber, 2.5 g net carbs (total carbs: 6.1 g), 13.4 g fat and 1.4 g protein. Spinach is an excellent addition to any diet, due to its numerous health benefits (lowering blood pressure, improving bone health, improved diabetes management, among others), and it’s one of the staples for many people who are doing the keto diet (4). A 100 g serving (3.5 oz) of raw spinach contains only 1.4 g net carbs and 2.2 g fiber, plus 0.4 g fat and 2.9 g protein, and a total of 23 calories. Additionally, spinach is a good source of magnesium and potassium, which are both very important on keto. Spinach is super versatile and you can eat it raw, sautéed, in soups, in smoothies, as a side dish, in an omelet, and many more. 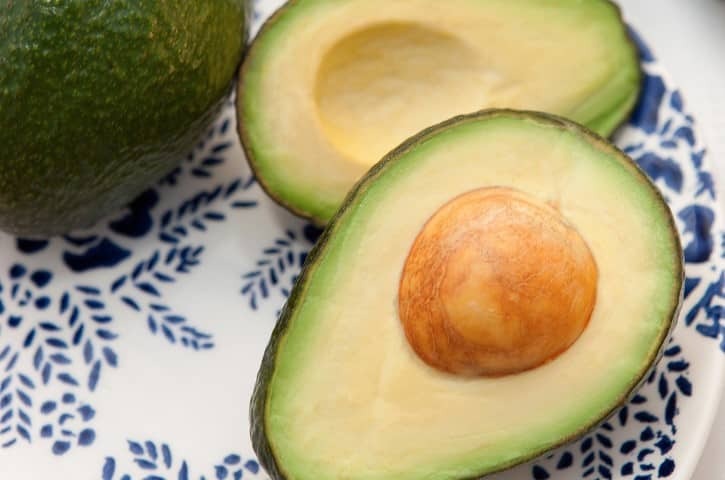 Avocado is very different from most fruits out there – instead of being carb-heavy, like fruits usually are, it is rich in healthy fats and has an excellent nutritional profile. It is a good source of potassium, Vitamin K, Vitamin C, folate, Vitamin B5 and B6, and more, making it great for the prevention of osteoporosis and certain types of cancer (5, 6, 7). Half an avocado (approx. 100 g or 3.4 oz) contains 161 calories, 14.7 g fats, 2 g protein and only 1.9 g net carbs while giving you 6.7 g fiber. And did you know that avocados contain more potassium than bananas, which are the most-often quoted potassium-rich food? A cup of chopped broccoli (91 g / 3.2 oz) contains 30.9 calories, 0.3 g fat, 2.6 g protein, 3.6 g net carbs, and 2.4 g fiber. Broccoli is anti-inflammatory due to its high content of sulfur compounds and is an excellent source of Vitamin K, folate, manganese and potassium. Quickly steaming broccoli for about 3 t0 5 minutes (instead of boiling it or frying it, for example) guarantees better retention of Vitamin C and other micronutrients, and leaves it slightly crunchy and more flavourful. Cauliflower is one of the favorite foods of many ketoers, due to its neutral taste and versatility. You can use it to make purees, steam it, or even use it as an excellent low-carb rice substitute. 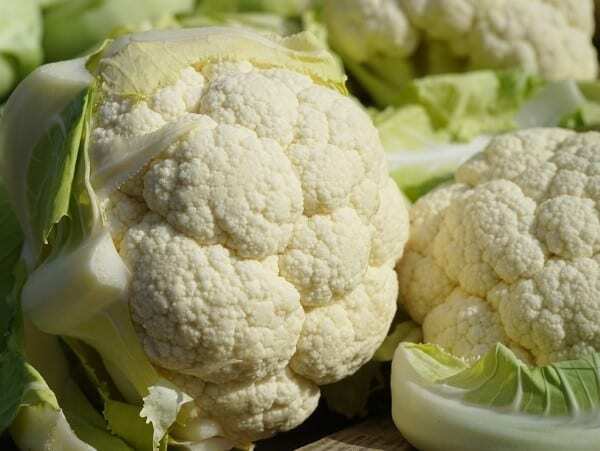 A cup of raw cauliflower (100 g / 3.5 oz) contains 25 calories, 0.1 g fat, 2 g protein, 2.8 net carbs and 2 g fiber. As with broccoli, the best way to cook it is to steam it instead of boil it or to sautée it quickly. Like this, it will preserve most of its beneficial micronutrients (Vitamin C, Vitamin K, folate, choline, and Vitamin B6 among others). Eggplants are high in antioxidants and are very nutrient-rich. Additionally, they may help prevent heart disease, improve blood sugar control, and fight certain types of cancer (8, 9). One cup of eggplant cubes (82 g / 2.9 oz) contains 20 calories, 0.2 g fat, 0.8 g protein, 1.9 g net carbs and 2.8 g fiber. They are a good source of potassium, copper, manganese, and Vitamins B1, B6, and B3. Their creamy texture makes them an excellent addition to many keto dishes. 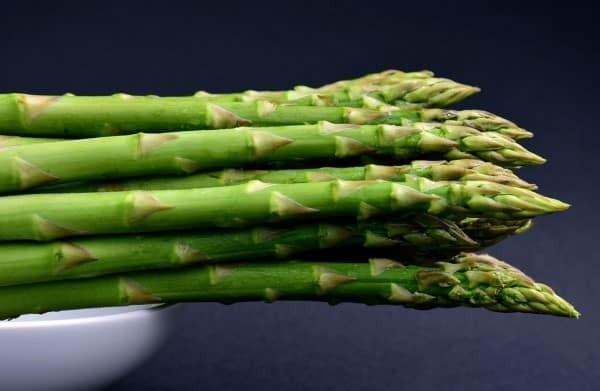 Asparagus is a good source of Vitamins A, C, and K, as well as of potassium, phosphorus, and folate. It contains antioxidants that help reduce the effects of aging and chronic inflammation; additionally, it will help stabilize blood pressure and will help reduce the risk of cardiovascular disease (10). A cup of raw asparagus (134 g / 4.7 oz) contains 27 calories, 0.2 g fat, 2.9 protein, 2.2 g net carbs and 2.8 g fiber. You can sautée it, boil it, grill it, steam it, or cook it in the oven. In most grocery stores you can find canned asparagus, which is precooked and can be consumed straight away. Mushrooms are beneficial for blood sugar control in both type 1 and type 2 diabetes patients. They are high in potassium, Vitamin C and B Vitamins B1, B2, B3, B5, B9), and also contribute to lowering cholesterol levels and improving immunity. A 100 g (3.5 oz) serving of white mushrooms contains 22 calories, 0.3 g fat, 3.1 g protein, 2.3 g net carbs and 1 g fiber. There are many, many types of mushrooms out there, so you might want to check out the local varieties that you could find at farmers’ markets, for example. 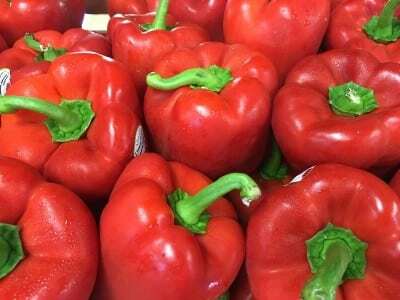 Bell peppers have different varieties – green, yellow, red, orange, purple – and each one of them will have a slightly different nutritional profile. They’re all incredibly healthy, though, and a very good addition to anyone’s diet. All of them are rich in fiber and also in Vitamin C and E, and yellow, orange and red peppers are also a very good source of carotenoids. One medium green bell pepper (119 g / 4.2 oz) of contains 24 calories, 0.2 g fat, 1 g protein, 3.5 g net carbs and 2 g fiber. You can enjoy bell peppers raw, stir-fried, as a part of an omelet, and many more. Radishes can be an excellent addition to many different salads, or you can just use them as a quick and easy snack. Because of their high isothiocyanate content, they are protective against certain types of cancer and are rich in Vitamin C. They have antifungal properties, too (11, 12, 13). Half a cup of sliced radishes (58 g / 2 oz) contains only 9.3 calories, 0.1 g fat, 0.4 g protein, 1.1 g net carbs and 0.9 g fiber. 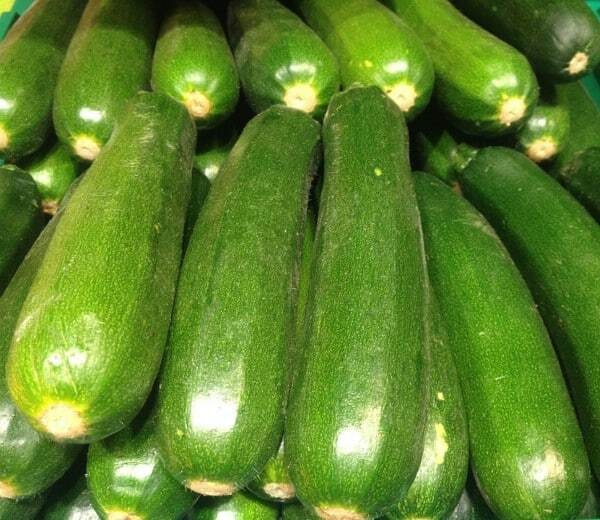 Zucchini can be used to make zoodles, a low-carb pasta alternative that many people love, or added to plenty of different dishes or soups, or even eaten raw. They are rich in carotenoids, manganese and Vitamin C. Additionally, they contribute to bone health due to their high Vitamin K content. A cup of chopped zucchini (124 g / 4.4 oz) contains 20 calories, 0.2 g fat, 1.5 g protein, 2.8 g net carbs and 1.4 g fiber. Tomatoes are rich in antioxidants, biotin and Vitamin K among others. 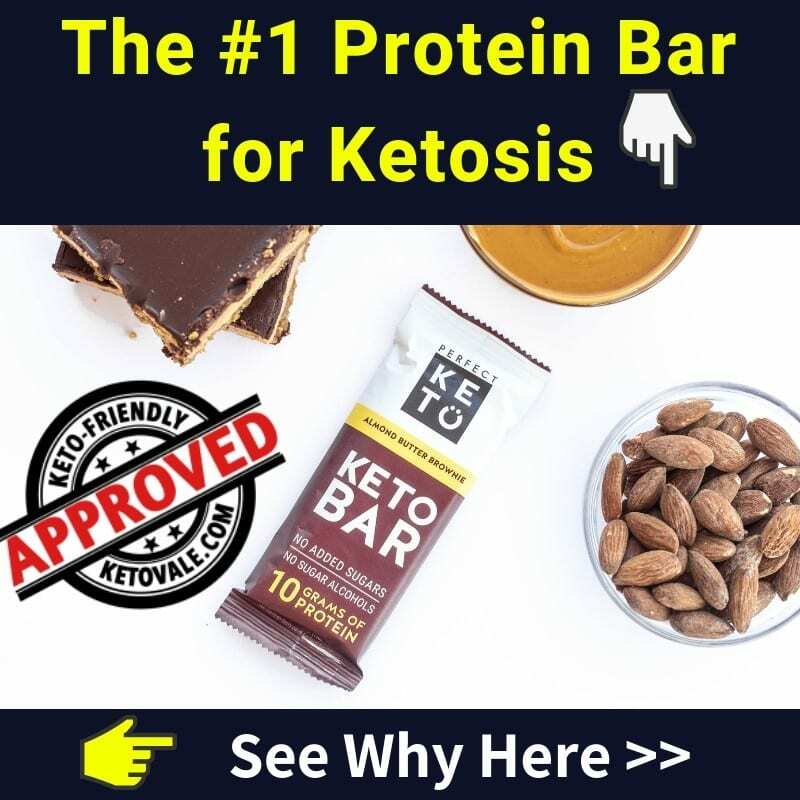 Additionally, they are a good source of potassium, which is excellent news for anyone following the keto diet – replenishing your electrolytes is a must. Tomatoes can help protect against certain types of cancer and are an effective tool in maintaining healthy blood pressure levels. Carotenoids contained in tomatoes are best absorbed when combined with a type of healthy fat, such as avocado or olive oil, and you can combine all three in lots of different salads. As for their macronutrient profile, a cup of cherry tomatoes (149 g / 5.3 oz) has 27 calories, 0.3 g fat, 1.3 g protein, 4 g net carbs and 1.8 g fiber. Can Fiber Kick You Out of Ketosis? To get in ketosis, most people need to maintain around 20-25g of net carb per day. Fiber will not kick you out of ketosis because your body doesn’t really digest fiber. 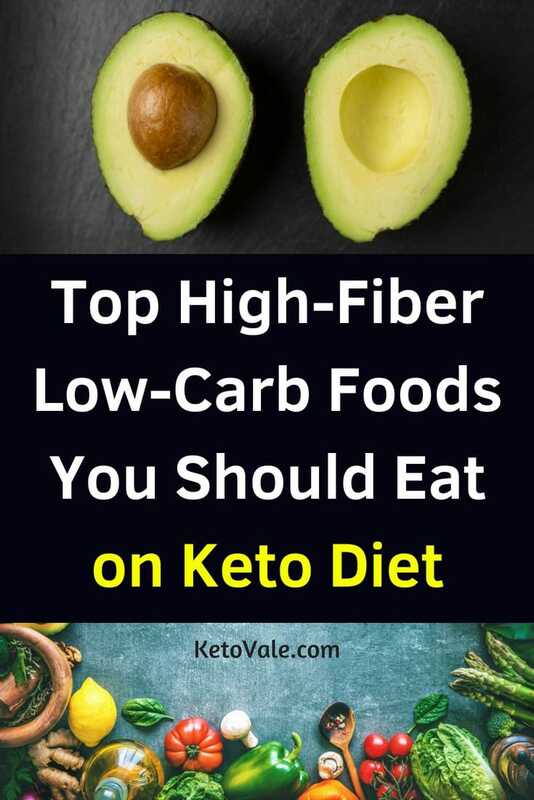 There are plenty of ways to include fiber to your diet, even when doing keto – in fact, if you stick to whole foods and get a few servings of low-carb vegetables daily, you will certainly not experience a lack of fiber. If you want to add more fibers into your diet, there are certain types of keto-friendly fiber supplements you can have such as Psyllium Husk Powder or Acacia Fiber. Whenever you’re changing the amount of fiber you’re eating (in either direction), your body will need a couple of days to adapt to it, but you’ll soon find out what feels best for you – which might not be exactly the same as what feels best for other people. Vegetables, besides generally being a good source of fiber, contain a lot of different micronutrients that have numerous health benefits, and many of them are low in net carbs, so there’s no reason to avoid them on keto. Enjoy this list? Save to your Pinterest for later reference!